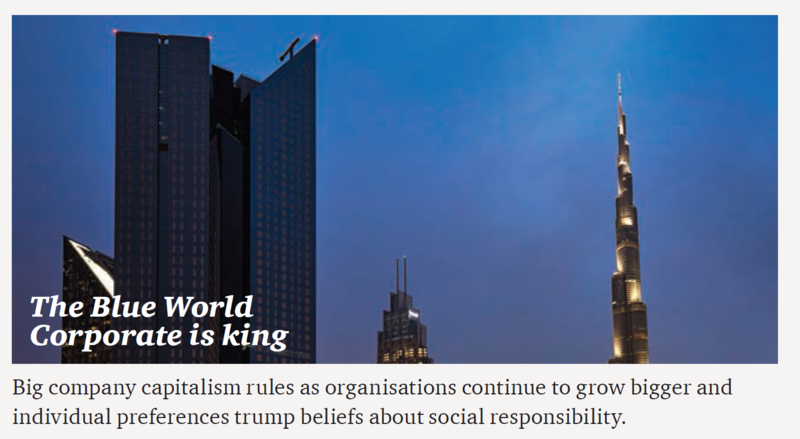 Imagine living in a world where big company capitalism rules with global corporates taking centre stage. Consumer choice dominates. 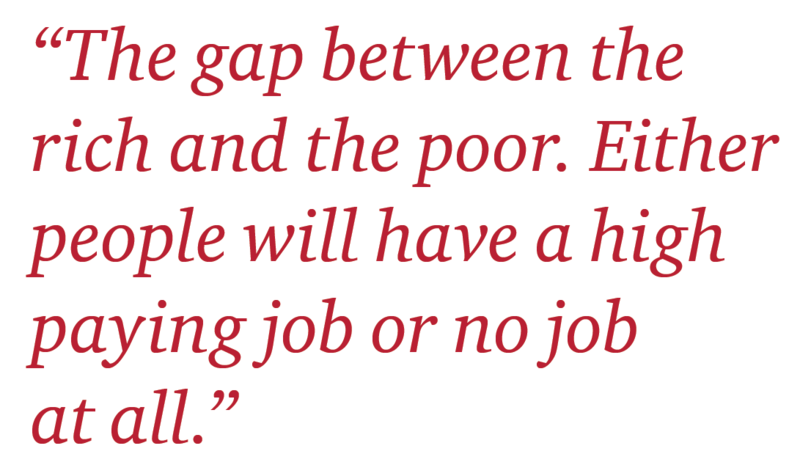 And corporate career separates the haves from the have nots. 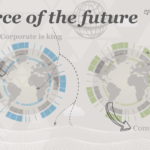 In this second article of our 2030 series, we’re exploring a world where corporate is king. In the blue world, capitalism reigns supreme. Basically, it’s where bigger is better. Organisations see their size and influence as the best way to protect their profit margins against intense competition from their peers and aggressive new market entrants. Corporations grow to such a scale, and exert such influence, that some become more powerful and larger than national economies. In other words, it’s a world where individual preferences take precedent over social responsibility. In the Blue World, companies see their size and influence as the best way to protect their prized profit margins against intense competition from their peers and aggressive new market entrants.Corporations grow to such a scale, and exert such influence, that some become more powerful than nation states. 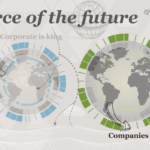 Success depends on a productive workforce as large companies compete for the best talent. They push past the limits of human ability by investing in augmentation technology, medication and implants to give their people the edge. Corporates may dominate the Blue World, but workforces are lean. Exceptional talent is in high demand – employers secure a core group of pivotal high-performers by offering excellent rewards but otherwise buy in flexible talent and skills as and when they’re needed. Human effort, automation, analytics and innovation combine together to push performance in the workplace to its limits. Then, human effort is maximised through sophisticated use of physical and medical enhancement techniques and equipment, and workers’ performance and wellbeing are measured, monitored and analysed at every step. A new breed of elite super-workers emerges. For workers in the Blue World, the pressure to perform is relentless. Those with a permanent role enjoy excellent rewards, as do in-demand contract workers with specialist skills. But both know that their future employability depends on keeping their leading-edge skills relevant. A corporate employer separates the haves from the have nots. Case in point: companies provide many of the services, from children’s education, eldercare and healthcare, previously provided by the state. However, the price workers must pay is their data. As a matter of fact, companies monitor and measure obsessively, from the location of their workforce to their performance, health and wellbeing – both in and outside the workplace. Organisations use the data to predict performance and importantly, to anticipate people risk.